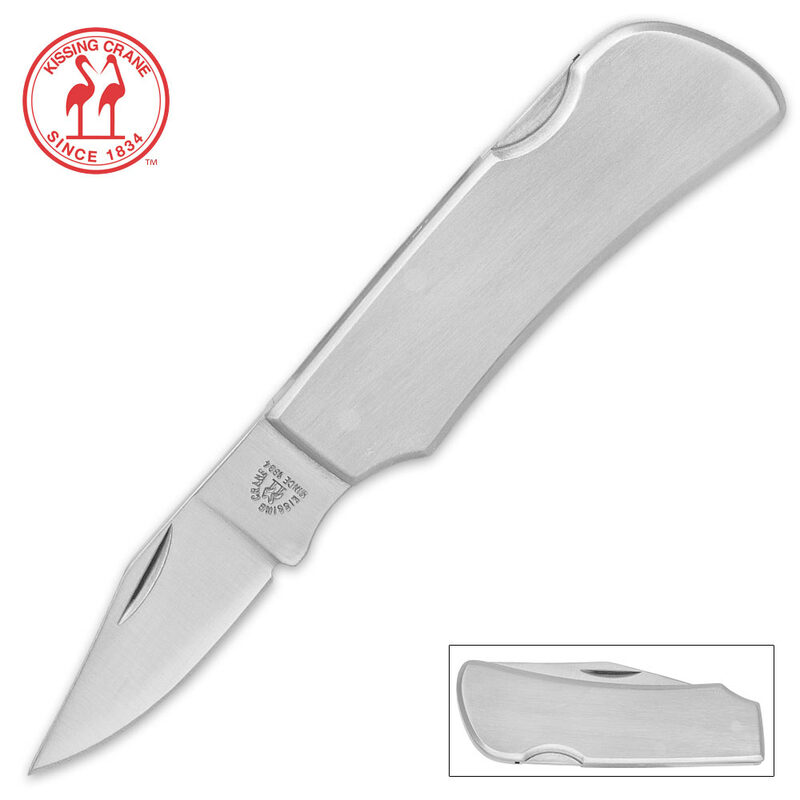 Kissing Crane Micro Satin Smooth Pocket Knife | BUDK.com - Knives & Swords At The Lowest Prices! The Micro Satin Smooth Pocket Knife from Kissing Crane is a jewel of an EDC knife! Its small size makes it a pocket knife that you can truly carry everywhere. 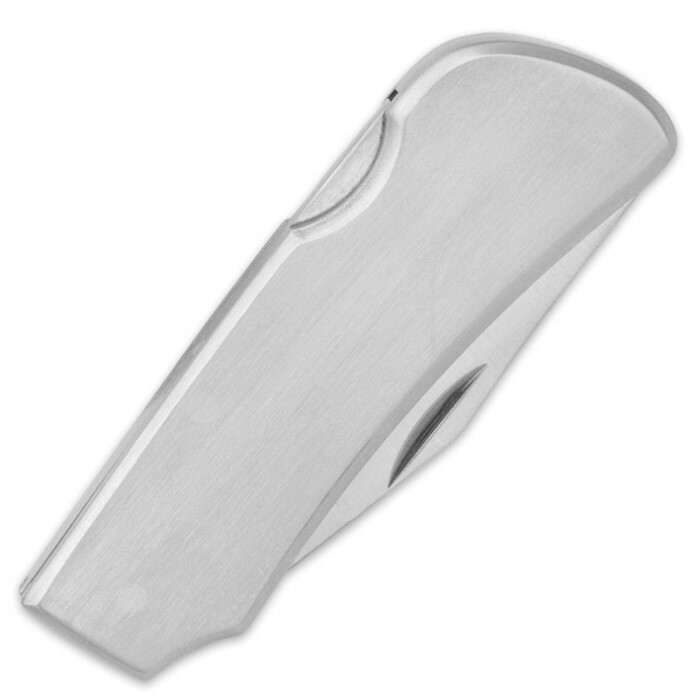 It has a 1 3/4” stainless steel blade with a nail nick for easy opening and don’t let the blade length fool you, this razor-sharp knife will get the job done. 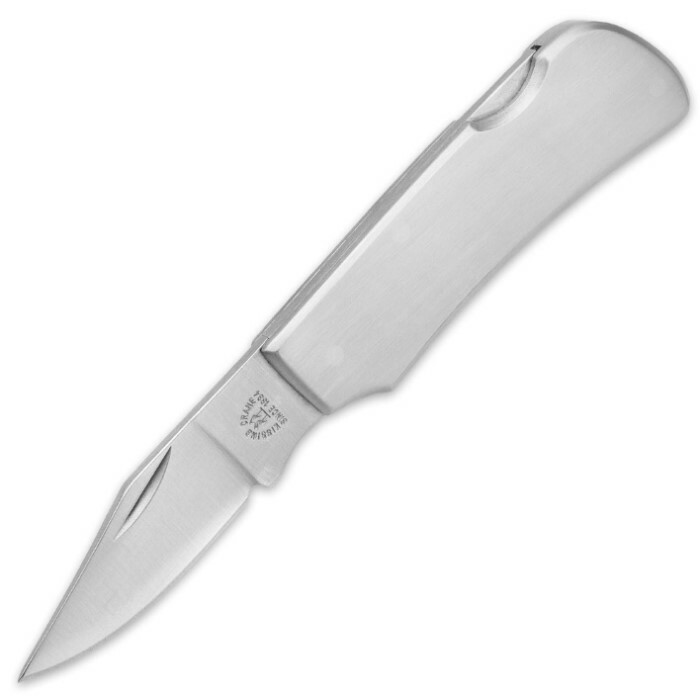 Both blade and stainless steel handle have a smooth satin finish and brass pins in the handle give a nice contrast to the overall appearance of this pocket knife. At just 2 1/4” closed, the Micro Satin Smooth Pocket Knife can go with you anywhere without taking up much room. You won’t even notice you’re carrying it in your pocket!